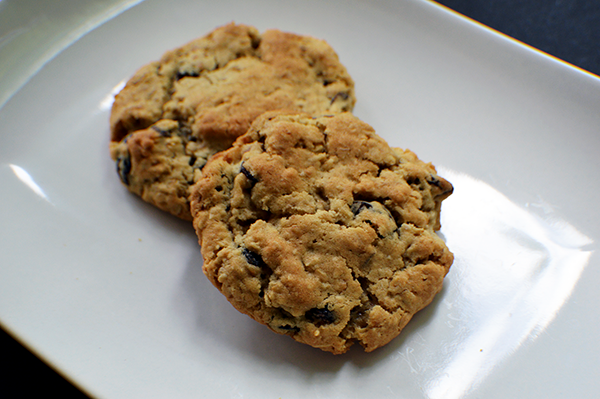 These oatmeal raisin cookies are soft and chewy with a touch of salty and a whole lot of sweetness. Start by creaming together the sugars, butter, vanilla and egg until nice and smooth. Then slowly add in the flour. 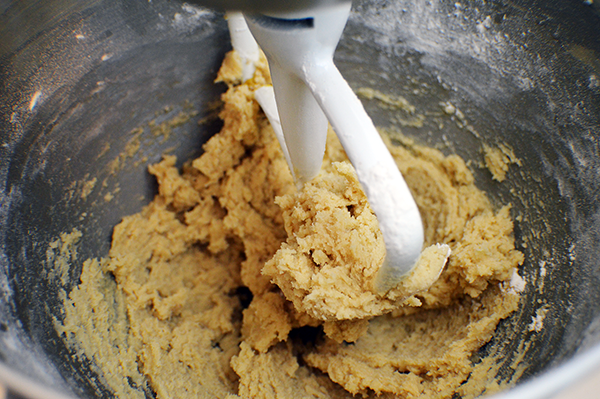 You'll want the dough to be pretty soft. Pour in the oatmeal 1/4 cup at a time. 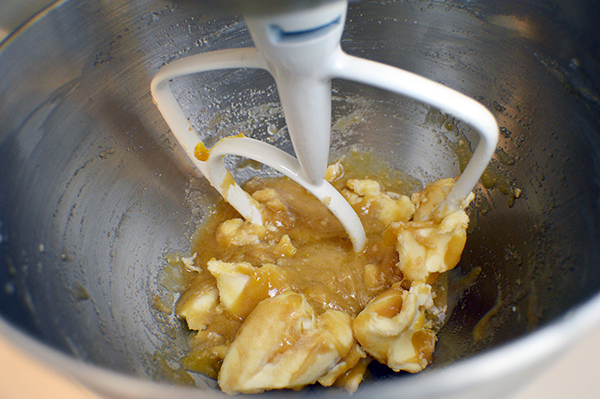 Use a spoon to scrape off any bits that cling to the sides or bottom of your mixer. 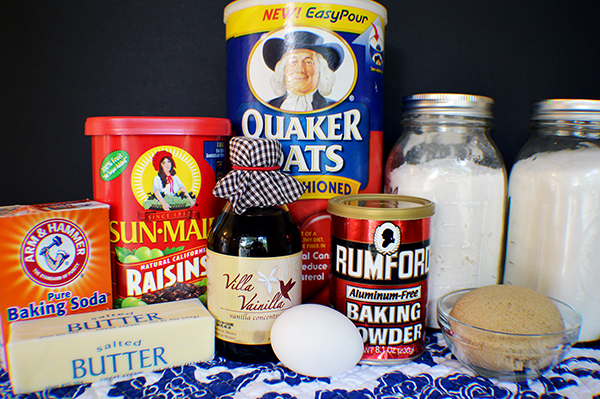 Once the oatmeal has been incorporated, add in the raisins a few tablespoons at a time. 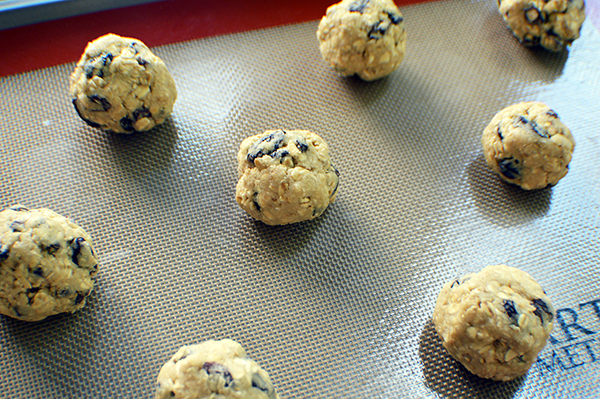 Then using your hands, roll the cookie dough into 1 inch balls and arrange on a lined cookie sheet. 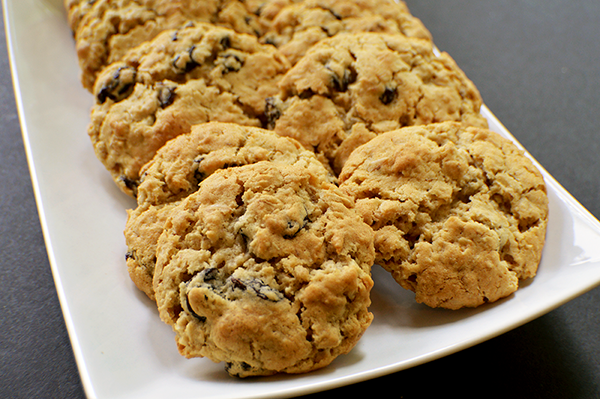 You'll know when the cookies are perfectly baked when the tops are barely beginning to crack. I made these cookies less than 24 hours ago and they've all disappeared - thanks to my dad, grandpa, and boyfriend (aka Theo's dad!) I was only able to snag a measly two for myself. These cookies are sure to make any papa happy! Preheat the oven to 350*F. In a stand mixed with the paddle attachment, cream together the white and brown sugar, butter, vanilla, and egg. Beat until color has lightened. 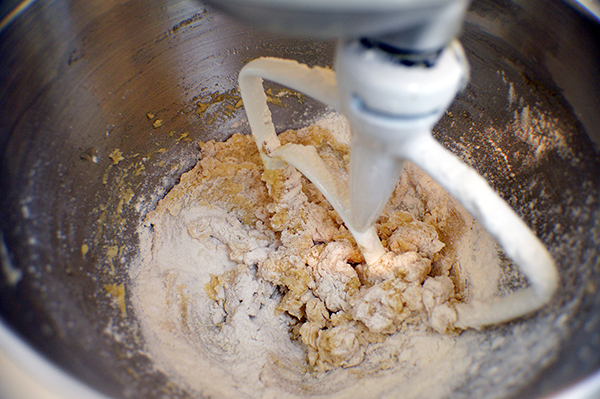 In another bowl, whisk together the flour, baking powder and soda, and salt. 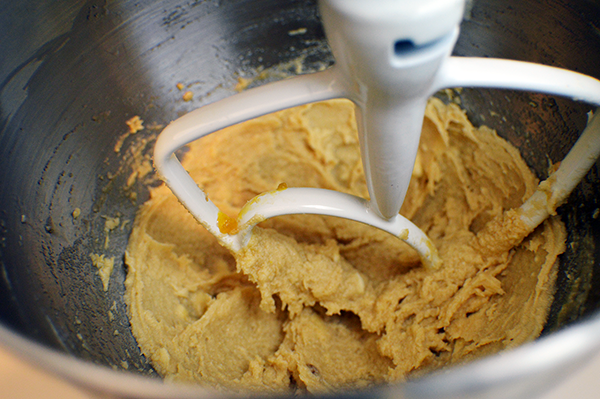 Add in 1/4 cup of the flour mix at a time until combined, scraping the sides of the bowl as you go. Dough should be smooth and soft but not sticky. 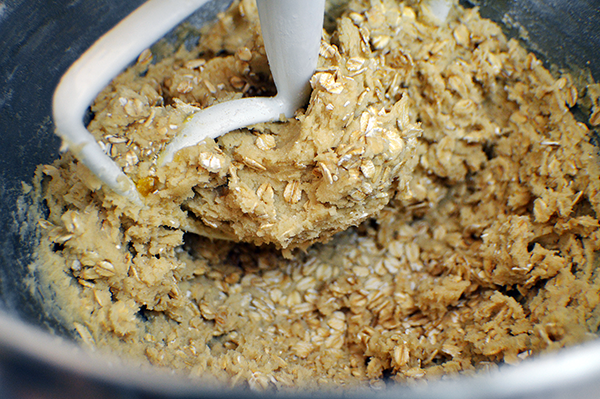 Pour in the oatmeal while the mixer stirs at a medium-low speed. 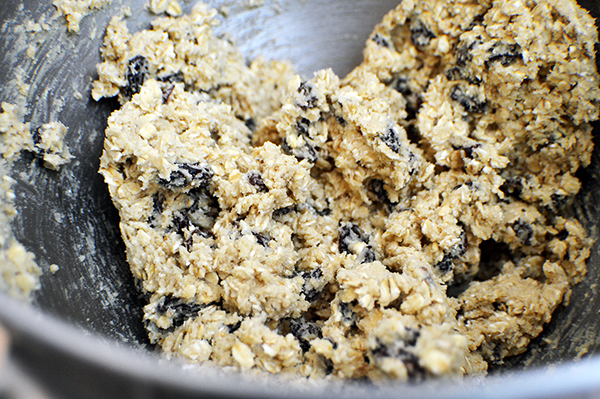 Add in 1/2 cup of the oatmeal at a time, followed by the raisins, a few tablespoons at a time. Roll the dough into 1inch balls using your hands and arrange onto a cookie sheet. Bake for 10-12 minutes or until tops are just cracking. 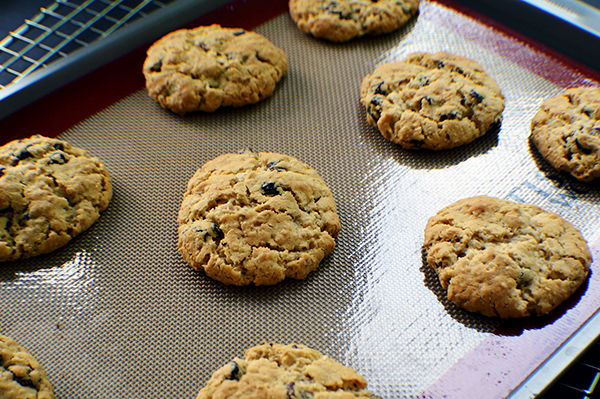 Let cookies rest for a few minutes on the pan before transferring to a wire rack to cool completely. Serve and enjoy!